The pigs are running the farm. So begins the story of Farmer Able. Everyone on his farm — people and animals alike — are downright downtrodden by him. He’s overbearing and compulsively obsessed with profits and productivity. He’s a typical top-down, power-based manager, forever tallying production numbers in his well-worn ledgers. But the more he pushes the hoofs and horns and humans, the more they dig in their heels. That is until one day when he hears a mysterious wind that whispers: “It’s not all about me.” Can he turn things around and begin attending to the needs of those on his farm, thus improving their attitudes and productivity? The following is an excerpt from chapter 9 of Farmer Able. In this oily, oaty shack, the farmer would lay out his bulky ledgers. He meticulously transferred numbers from the little book in his bib overalls’ pocket to the hefty registers. The farmer found strange comfort in the ruled pages as he ground his pencil ever sharper and wrote out the pluses and mostly minuses of his accounts. He stored the ledgers, marked year-by-year, in file cabinets that stood like metal testaments to his many failures. His less-thans and could-have-beens were committed to ink and paper and encased in steel. This simple little exercise of keeping his accounts was exhausting. Every entry took a heavy toll. The good farmer spent so much time worrying over the numbers that the only thing that was adding up was his anxiety. His overworked mind—not to mention the day-to-day grind to get all his jobs done—would regularly cause an overstressed stomach. Farmer Able had developed a persistent bellyache. As Farmer Able stared at the penciled numbers, trying to avoid the acid in his stomach, he noticed something quite strange. The old barn siding, which had become weathered over the years, always had a creaky sound to it. However on this night, the spring wind that blew outside conspired to create an odd whine and wail as it forced itself up against the old boards. Moan went the wind, then groan went the boards at an even higher pitch as the gusts accelerated. The effect was like breath across the reeds of a harmonica. Adding to the sound was a singsongy whistle. The farmer put down his pencil. He just had to fix that irritating sound, so he went outside and stumbled along the shed trying to locate the shaky boards. However, he could find nothing that fixed the spot of the strange reverberation. With one particularly strong gust of southern wind, his attention was turned to an even more unusual creak. It came from the old walnut tree standing as it had for some 80 years in the lot just outside the granary. The moan and groan were even more pronounced in the tree as the branches moved in the wind. It had a distinctive tone to it that the farmer hadn’t heard before. The sound went beyond a rustle or even a swoosh. Adding to this display was a light dance on the tree itself. The full moon that shone down that night lit up the old walnut with a curious luminescence. The branches were silvery and appeared to glow. Farmer Able thought “What the dickens?” as old leaves left over from autumn swirled at his feet. There appeared to be something stirring, a conspiring of sorts between wind and light and tree. As he stared dumbfounded, the sounds took on even more definition. From creak and moan . . . to oooh-weee-oooh to aaaa-ble. Did the wind just say his name? And then—sweet molly moonlight!—Farmer Able heard a most distinct English word: It’s. The word faded with the wind. The farmer wiggled a finger in his ear. Surely he wasn’t hearing what he was hearing. He was about to leave, when suddenly the wind gathered itself again, and through the branches came words with even more particularity: It’s . . . not . . . Accompanying the words was that unmistakable twinkling from moon to branches. The sounds of the words were in rhythm with the pulse of that light. The articulation came from the wind, across the tree, and then it resonated on the creaky boards of the granary. He was hearing it coming and going, inside and out. The wind sound trailed off like it was taking a breath. Then summoning itself again, a gust built up. It’s . . . not . . . about . . . me. The reverb echoed off the granary: . . . about . . . me . . . me . . . me. The wispy resonance faded into the night. Suddenly the wind stopped dead. All was still. Farmer Able just stood there in the silence. Mysteriously, he could still hear the words inside. Art Barter believes everyone can be great, because everyone can serve. To teach about the power of servant leadership, Art started in his own backyard by rebuilding the culture of the manufacturing company he bought, Datron World Communications. Art took Datron’s traditional power-led model and turned it upside down and the result was the international radio manufacturer grew from a $10 million company to a $200 million company in six years. Fueled by his passion for servant leadership, Art created the Servant Leadership Institute (SLI). To learn more about Art and his new Servant Leadership Journal, as well as his book on servant leadership, Farmer Able: A Fable About Servant Leadership Transforming Organizations And People From The Inside Out, endorsed by Stephen M.R. Covey, Ken Blanchard , and John C. Maxwell , visit www.servantleadershipinstitute.com . I am excited to do a blog post about a new best practice I discovered when reading the great book Community: The Structure of Belonging by Peter Block. I had always felt awkward when leaving a meeting or event early and would tell the host ahead of time and just slip out – hopefully unnoticed. I have since learned this is not best practice. Block (2009) suggested that when a participant leaves early, there is a hole and kind of emptiness left behind. The early exit leaves a void. There is a cost and consequence for this and the departure takes energy and resources from the experience of both the person leaving and those staying behind. We need to take this seriously, because this loss is an element of engagement. Ask in the beginning for people to give notice of leaving. Ask them to leave in public, not to sneak out in the dark of night or in silence or during a break. Acknowledge their leaving in a deliberate way. Have them announce to the group that they are leaving and where they are going. This will create some discomfort, but that is the nature of separation. Have three people from the group say, “Here’s what you’ve given us . . .” This is a moment for the gifts conversation. Clearly, there are variations to what I have provided above that would work. The most important thing, however, is that you do something for acknowledgment of early departing group members. Let me tell you, the first few times of doing this seemed awkward and counter intuitive to letting an early departing guest slip out, but honestly this has made our gatherings much richer. I believe our participants would tell you that it seems awkward to not do the above five steps now. In fact I used this process with a state official who left early during a World Cafe`style stakeholder gathering we did last week. He texted me after he left and thanked me for handling his departure the way I did. He had great insights to share before he left and the group left him feeling worthwhile with their comments before he left. This truly is a best practice. In fact, if I have to leave a meeting early that I am attending and not in charge of, I ask if we can do this process. We owe it to our communities to take this seriously. How do you handle early departures? Block, Peter (2009). Community: The structure of belonging. Berrett-Koehler Publishers. Kindle Edition. Let’s face it, if you are not being criticized, you are not leading and guiding the organization to grow, innovate and explore endless possibilities. Criticism is a natural part of leadership. If no one is criticizing your leadership – you are not leading correctly. This was also true of one of America’s greatest artists, Norman Rockwell. In Lesson #28, “The Dream Post,” in 52 Leadership Lessons: Timeless Stories For The Modern Leader, author John Parker Stewart points out how Norman Rockwell was sharply criticized by fellow artists. They called his art too simplistic and predictable. Some peers would not even recognize him as an artist. Well, we know the rest of the story and the great inspiration his art brought to our country at great times of need and is still bringing to us today. Just like Norman Rockwell, as you find success in your leadership journey, some people will try to take you down. The leaches and loafers that are envious of your success may attempt to slow down your momentum. This is actually a sign that you are on the right path. As Stewart reminded us, we will be tempted to seek the approval of the so called “expert” critics. We need to shut this down, however, and make sure we are following our passions and dreams. While we do not want the critics to control us, we mustn’t forget, however, the most effective leaders listen to critics as a means of acquiring helpful feedback to improve their personal and organizational performance. Great leaders value the diversity of others’ opinions as a resource, not a threat. This does not mean compromising core values, passions, and dreams. Take time to reflect on what you’ve learned. If the criticisms and suggestions are valid, adjust your decisions and actions accordingly. Finally, we need to remember, there are two types of criticism – constructive and destructive – learning to recognize the difference between the two can help you deal with any criticism you may receive. It’s really pretty easy to distinguish between the two. Constructive criticism, is provided to point out our mistakes, but also show us where and how improvements can be made. Conversely, destructive criticism is often just thoughtlessness by another person, and can be deliberately malicious and hurtful. So, in the words of John Parker Stewart, “As you pursue your dreams, don’t give way to critics who enjoy tearing others down. Be true to yourself and your own happiness.” In other words don’t compromise your core values and dreams for some critic. Are you being constructive with others? Are You Leading Like A Rock Star? Today, listening to everyone sing hymns, I was struck at how easy it is to follow along with the music. Then I thought of how hard it is to follow along with a rock band. This is particularly hard where the vocals have been removed, like in karaoke. I discovered part of the reason is that at church the pianist is playing the melody for us, and we just follow along. I like this and it is important to the church service. Whereas when listening to a rock band, the lead singer is the melody. This was driven home to me when I was present for Alter Bridge’s sound check last fall in Nashville, Tennessee. 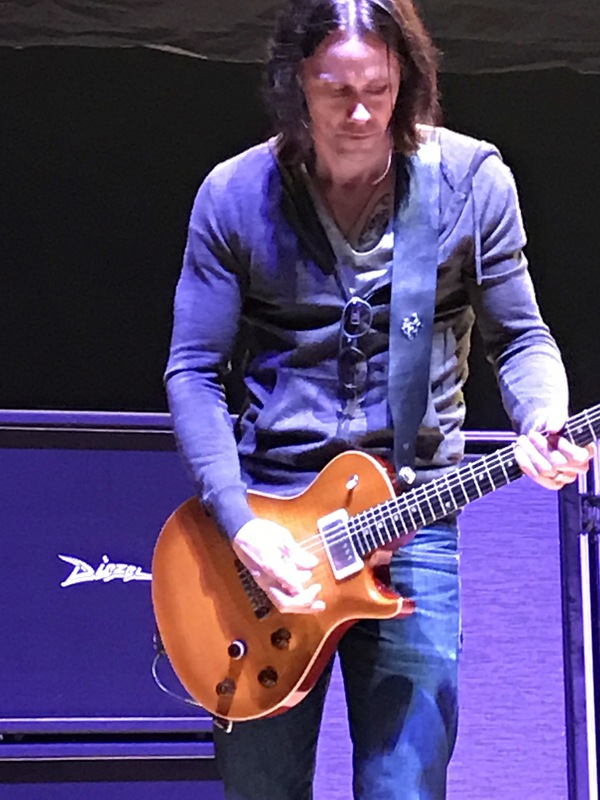 When Myles Kennedy was singing it sounded exactly like what we hear on a cd, but when he wasnt it sounded entirely different. He was singing the melody notes without any exact accompaniment. That’s why it is so hard to take his voice out and sing the song the same – I think. Remember, I am not a music expert. Here is a link to my video of the sound check: Show Me A Leader Take a listen and I think you will see what I mean. It would be very tough to sing Show Me A Leader without Myles singing with us. Click here to see the in-concert version. The catch is that when singing in our vehicle to our favorite rock band, we are always singing along with another singer. We get all our cues from that singer’s voice. When I’ve listened to instrumental versions of songs I know, I recognize them, of course, but don’t always know where the singing part would come in. I mean sometimes I can tell, like for a really obvious chorus or something, but especially for the verses, and especially for songs where there isn’t an instrument playing the singing melody, I can’t automatically hear where to come in when singing. So, let’s compare this to leadership. As leaders we need to remember that we are singing the lead and need to make sure that everyone in the organization is able to read the sheet music (understand the vision, mission, core values, and strategic plan of the organization). If you read music then it is simple to see where your cues are, or otherwise I suppose it would be listening to music and learning to count measures to determine when your cue is. As leaders, we need to provide the cues and teach our teams to read the music. Better yet, we need to sing along with them. I am guessing it would be a lot easier if I had the sheet music for Show Me A Leader and learned at least the basics of written music. Like learning about time signatures, keys, tempos, and the various notes and rests. Learning just this much probably wouldn’t take very long, and I’d probably be amazed how useful it would be. So, we need to make sure and provide the personal growth opportunities to those we serve in our organizations to be able to read the “music,” so to speak. Having said all of this, however, we need to still be artful leaders. The great rock bands many times abandon traditional musical lyricism, tone, and articulation. Rock singing should be rather ambiguous in rhythm, lyrics, and pitch. That is the essence of hard rock. Just like leading the transformation of an organization may not be so abstract. If we think of our organization as a rock band (who wouldn’t want to do that? ), then we need to model professionalism. Someone might be a brilliant songwriter (leader) and have lots of great ideas, but a good band member becomes an amazing band member if he or she is also on time, respectful, organized and prepared. Relationships matter. It appears many rock bands break up over this relationship piece, as is the case on many organizations and teams. Just like in a relationship, each person’s expectations and needs should be discussed. Remember that each musician (team member) brings his or her own expertise, talents, ideas, personal goals and passions, so let that flourish. If someone feels taken for granted, unappreciated or overworked, resentment might build up and affect the music and performances. On the other hand, if members of our organizations believe they are valued and appreciated as individuals, they will be amped up to bring positive energy and ideas to the group. I’ve always thought that the great rock bands were not afraid to fail. Being an artist means trying new things, iterating, and sometimes throwing away in order to find the one great thing. The creative process is a vulnerable experience. When we’re working as a group to create new material (products) or learn new songs (processes), there will inevitably be moments of imperfection. As leaders we need to encourage experimentation and the idea of failing quickly, to find out what works, or that next hit song. Ultimately, it’s up to the leader(s) (remember, I believe everyone is a leader), in concert (you catching my play on words here) with everyone in the organization to visualize, communicate the concepts and determine what needs to be done to materialize that vision. Today as I was going to get feed for our dairy cows I was listening to Sirius XM Hair Nation. Remember, I was in high school in the 70’s and college in the 80’s, so I still love the hair bands today. Don’t forget, KISS, is the greatest of all! But, I have digressed… While listening, the host at the time, Keith Roth, made a great comment: “We no longer listen for understanding. We listen to respond.” This is so true and reminded me that great leaders must listen to understand. And… of course I immediately tweeted the quote – you can follow me at @ByronErnest. The quality of our listening determines the quality of our influence, and that brings huge benefits to our organizations. Research says we only retain about 25 percent of what we hear – why? because we lack listening skills. First, and foremost, we need to all start listening to understand. The good news is that we can learn to be a better listener and significantly increase our retention. There are principles and practices that can help us be intentional, purposeful, and conscientious when listening and that will make a huge difference with the spirit of our team members. By listening to others with an empathetic ear, by putting ourselves in their shoes, and by maintaining an open mind, we develop a culture of enthusiastic and energetic teamwork. Our conscious listening, which is listening to understand and learn, is our gift to others. I am a firm believer that if I am talking I am not learning – I think someone important said that one time and has been quoted, but I can’t remember who. Listening is a very critical role of leadership. Listening may be the single most powerful action the leader can take. Leaders will always be under pressure to speak, but if building social fabric is important, and sustained transformation is the goal, then listening becomes the greater service. As a leader, I am working very hard to be a convener and practice conversational leadership. Conversational leadership is a cornerstone in the effort to redefine the relationship between the ourselves and our organization’s internal and external stakeholders. Listening needs to be the action step that replaces responding, solving, defending ourselves, and responding. Listening, understanding at a deeper level than is being expressed, is the action that enables leaders to convene great conversations. This means we have to change the nature of our listening. If we truly want to learn to listen to understand we must become conversational leaders in all aspects of our life and work to enable authentic dialogue that makes a difference toward positive outcomes. I believe if we listen to understand more and practice conversational leadership we will find our teams don’t need a whole lot of training, new materials, or stuff in order to have productive dialogue, team meetings, or professional learning communities; they just need the focused time to talk together and discover what they already know about what they are doing and about what needs to be different. How can we begin to cultivate both the organizational infrastructures and personal leadership capabilities that are needed to shift the trend of listening to respond to one of listening to understand? The following is an original blog post, based on lessons and concepts in Worline and Dutton’s book, Awakening Compassion at Work. Almost 20 years have passed. If Peter were alive today, we think he’d be thrilled with the response to his call to action. Researchers and scholars around the globe are exploring, theorizing, and building more elaborate understandings of compassion at work. We also think he’d love our book Awakening Compassion at Work, which pulls together much of what we’ve learned in a form that makes it easy to put to practical use in all kinds of organizations. There’s a lot going on in the science of compassion. We wanted to highlight three research findings you might not have heard, but they offer new insights into why compassion counts. Sometimes it’s easy to focus exclusively on the recipients of compassion as its beneficiaries. We can easily grasp that people receiving donated meals are probably benefiting from compassion. What we don’t grasp as easily is that those of us who witness compassion also gain from it. The hospitality industry is growing. Hotels, restaurants, resort destinations, and experience providers make up more of our economy. But service quality and hospitality are also essential in health care, education, social services, and community-based organizations where helping people feel welcome and included is a key to successful outcomes. Compassion researchers Pablo Zoghbi-Manrique-de-Lara and Ria Guerra-Baez show that employees in the hospitality industry are likely to be especially tuned into one another’s suffering. They are arranged in close work teams and they perform highly interdependent tasks. These teams require one another’s full support in order to create the desired customer experience, including detecting and responding to suffering. Coworkers compassionate support for one another is essential to creating excellence in service and hospitality. In a study of 18 organizations that had engaged in downsizing, across 16 different industries, the extent to which employees characterized their organizations as compassionate correlated with more resilient profitability. The more compassionate organizations also kept more customers through the downturn. Other studies have found the same link between compassion and the ability to engage and retain clients. When people feel cared for as part of their work culture, they are more able to adapt and bounce back and that helps their organizations adapt and bounce back as well. Monica Worline, PhD, is CEO of EnlivenWork. She is a research scientist at Stanford University’s Center for Compassion and Altruism Research and Education and Executive Director of CompassionLab, the world’s leading research collaboratory focused on compassion at work. Jane Dutton, PhD, is the Robert L. Kahn Distinguished University Professor of Business Administration and Psychology and cofounder of the Center for Positive Organizations at the Ross School of Business. She has written over 100 articles and published 13 books, including Energize Your Workplace and How to Be a Positive Leader. She is also a founding member of the CompassionLab. Their new book, Awakening Compassion at Work, available now on Amazon, reveals why opening our eyes to the power of compassion is smart business. 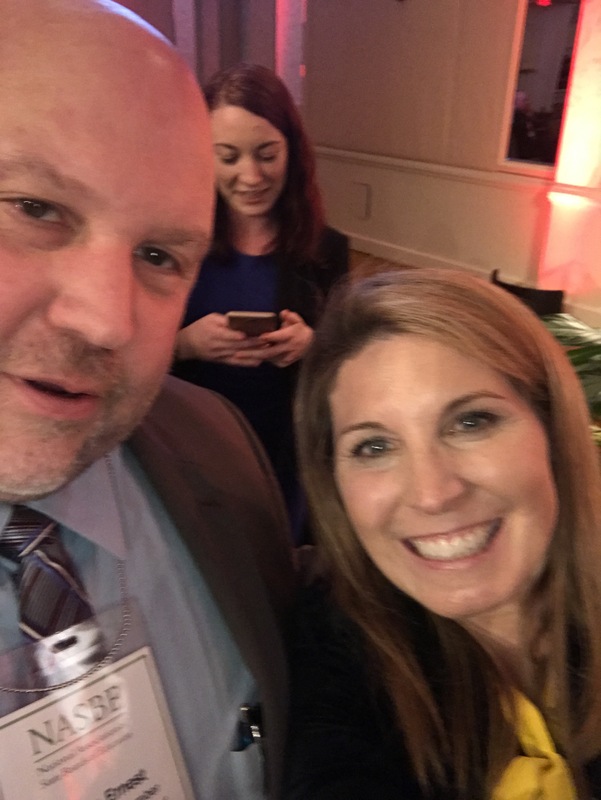 I had the honor and opportunity last night to personally meet and hear Nicolle Wallace speak. Nicolle is a bestselling author, political analyst for MSNBC, and former co-host of ABC’s “The View.” And, I would add, great speaker! She keynoted our opening joint dinner for the National Association of State Boards of Education (NASBE) and Council of Chief State School Officers (CCSSO). On my side, as a NASBE member, this opened our annual Legislative Conference. Let me tell you, I was mezmarrized by her comments. In her many meaningful phrases she made one that hit me like a ton of bricks. She said, “If you want others to tell you the truth, you need to tell them the truth.” Think about that. What wold the world be like if we all put this in practice. Powerful leadership is needed in America today and the world to deal effectively with a broad range of challenges. History, however, is full of examples of leaders that lacked character to sustain trust and credibility with the public. Good character and integrity, basically telling the truth, are the solid foundation of great leadership. Failure of leadership today is not the absence of competence or skills, but simply sustaining credibility and integrity with people. Character is a rare commodity now adays. Our culture has produced few enduring leaders, few people with leadership integrity. Great leaders must demonstrate the right virtues to lead effectively. Nicolle said, “we must all take responsibility for our power.” We must demonstrate honesty, humility, authenticity, credibility, courage and accountability. Thanks Nicolle for reminding me that the most important leadership virtue is integrity. It all started a couple of weeks ago with a comment made during the Friday night dinner of our Focused Leader Academy (FLA) when Executive Chef Nick Townsend of Ulen Country Club made the comment that we must lead like Mr Potato Head® in that we have to change and adapt just like the pieces of a Mr. Potato Head® toy. This really resonated with me and made me think about the difference between this adaptation and compromising core values. There is a difference – adaptive leadership is not about compromising core values, but about adapting to circumstances, thus enabling your core values. Of course all FLA members knew the instant they heard the Mr. Potato Head® reference that it would become a through line for a future FLA leadership retreat – and, it did! Little did I know just how powerful this toy would be to our journey of leadership journey. I decided to use a toy through line for our retreat this weekend. We used Mr. Potato Head®, Play-Doh®, and Legos®. These were incredible examples to use for leadership reflection, training, and professional growth. As you know, I use a non-traditional form of agendas for the weekend and have attached the agenda that reflects the learning arc for the weekend as the featured image for this post. You will find in my next two posts that the leadership lessons are not limited to what are listed above. In fact there will be a list of graphically recorded lessons about Legos® and Mr. Potato Head® in my next two posts. People love following leaders whose hearts are fueled by passion. Interestingly, I believe that passion in leaders can be fueled by toys. Just think of the feelings and memories that are spurred when thinking of toys that you had in your toy box as a child. So, here is my challenge question: What was your favorite toy growing up and what leadership skills did you learn from it? Hunter, Jr. , Ronald & Waddell, Michael E. (2008). Toy box leadership: Leadership lessons from the toys you loved as a child. Nashville, TN: Thomas Nelson. A leader’s impact, career, reputation and legacy are all determined by the decisions he or she makes. Up and coming leaders often ask me: How do you make better decisions? Have you given much thought to this question? My hunch is that you and I may not think enough about how we make decisions. If you’ve been leading long, it can become instinctive or reflexive. You just do it – no thought required. Some would label this unconsciously competent. Isn’t that what you want? To be able to respond instinctively without thinking. You might think the same thing about world-class athletes. Surely, they don’t think about what they do – as Nike advocates, they Just Do it! Right? Wrong. The very best athletes are the best students in their chosen field. Tiger and Phil from the world of golf, Aaron Rogers and Tom Brady from the NFL, Lebron James from the NBA, and the list could go on and on. Athletes at the top of their game are students of HOW they do what they do. They watch the video over and over again to sharpen their skills. When it comes to decision-making, some thoughtful time invested can have the same effect. We can get better at the most critical activity we engage in as a leader. The athlete that doesn’t refine his or her skills is called an amateur. The leader that doesn’t grow in their decision-making abilities is called average. How can we get better at making decisions? Here are a few ideas to jumpstart your thinking. Learn from the past – Have you ever done an analysis of your decision-making? How’s your batting average? How often do you get it right? How often do you miss the mark? What patterns exist? Do you make better decisions when others are involved? How often do you follow your instincts – your gut? What have others done? What has worked in the past? Wait until it matters – Don’t make decision early. Things change. Find out when a decision must be made. Make it then. One of the first questions I ask when confronted with a major decision: When is the latest we can reach a decision? Use the time before the due date to think, consider alternatives and get input from others. You miss some, or all of this, if you decide prematurely. Also, if you decide early, there’s more time for second-guessing. The real challenge in most cases is not the decision anyway – the REAL CHALLENGE is execution. Decide and then move quickly to action. The closer the decision-maker is to the actual work the better. The level to which a decision rises in the organization should always be in proportion to its relative impact, risk or cost. Clarity on decision-making roles increases the chances of a good outcome and a timely decision. Different decisions warrant different approaches – one size does not fit all (e.g., Consultative, Consensus, Command, Delegated). If you want to improve your golf game or your serve in tennis, you focus on it. You can do the same with your decision-making. You get to decide. Mark Miller is the best-selling author of 6 books, an in-demand speaker and the Vice President of High-Performance Leadership at Chick-fil-A. His latest book, Leaders Made Here, describes how to nurture leaders throughout the organization, from the front lines to the executive ranks and outlines a clear and replicable approach to creating the leadership bench every organization needs. Given the high rate of leadership turnover in many fields nationwide, finding ways to provide leaders with the experience they need quickly is paramount. This is very true in my own area of educational leadership. What makes leadership so challenging is that it is rife with painful trade-offs that make decisions difficult under the best of circumstances. What’s more, leaders are faced with a group of stakeholders—vendors, customers, students, teachers, parents, communities, local, state, and federal government—whose competing demands can make it impossible to satisfy the needs of one group without dramatically upsetting another. By developing adaptive leadership skills we can get help our leaders improve decision making at times of crisis, benefiting, in my particular context, both the school culture and ultimately, student outcomes. Because of the many stakeholders involved in leadership, leadership is dangerous because we are rarely authorized to lead. We all operate within a limited scope of authority. Opportunities for exercising leadership do not depend on position. Since I believe everyone is a leader, leadership can come from any place within or even outside the organization. With adaptive leadership we need to help those we serve understand that leadership often involves challenging people to live up to their words, to close the gap between their espoused values and their actual behavior. Leadership often entails finding ways to enable people to face up to frustrating realities. It is important to recognize the difference between technical challenges and adaptive challenges. Technical challenges may be complex but an expert can usually solve – like fixing a car that won’t run or a website glitch. Conversely, adaptive challenges do not lie in technical answers, but in the leader. The technician can fix the car, but he can’t make the owner do the regular service to keep it running. This would be an adaptive leadership challenge. Most social issues are adaptive. They are not resolved with a logical argument. This is what makes my field of education so challenging. This also why there is such a great need to school our leaders. Successful leaders in any field tend to emphasize personal relationships. These relationships are a tenant of adaptive leadership. Again, with adaptive leadership we are asking people to close the distance between their espoused values and their actual behavior. This kind of leadership can come from anywhere in the organization and can fashion new and better responses to local realities. Are you schooling your leaders?